Ice cream sticks come in a variety of flavors from the traditional chocolate and vanilla to more unique flavors like pineapple and strawberry-banana. A delectable treat, people eat this kind of ice cream off sticks and do not need to use spoons or any other dining utensil. Ice cream sticks are party favorites that are usually affordable and can be purchased in bulk. Many types exist, too numerous to count. The sticks themselves can be made of wood or plastic and come in elongated forms with rounded edges. These sticks are purchased in bulk and allow consumers to make their own ice cream sticks. The most traditional model is manila colored, thin, and about 3 to 5 inches (8 to 13 cm) long. Packs of 100 and 500 are common denominations. Funkier options of ice cream sticks are also available. Shorter and wider types allow for more ice cream to be held on the stick. These come in a variety of colors as well. People can purchase ice cream kits, which include sticks, ingredients, and instructions on how to make ice cream at home. For store-bought ice cream sticks, there are a few traditional options. 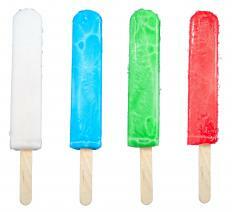 Paddle pops are one of the most well-known of ice cream sticks. These desserts consist of a square, circle, or rectangle of ice cream often coated in chocolate and placed on a wooden stick. They are made by countless brands and sold in almost all grocery stores and convenience stores. These come in packs of six or 12 but can also be purchased in larger numbers at special retail chains. 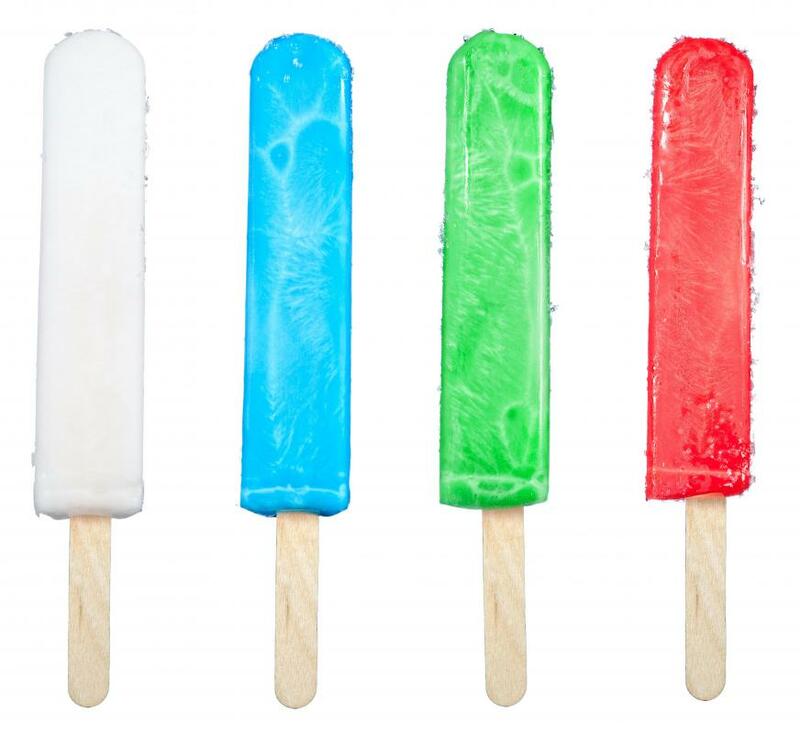 Twin pops are another type of ice cream stick. They are made of ice cream or frozen syrup and come on two wooden sticks. This treat consists of two ice cream sticks molded into one and bonded at the hip, thus the name twin pop. Freeze Popsicles are one of the oldest and most affordable options of ice cream sticks. They can also be known as ice pops of freezies. Though they do not come on sticks, these desserts are made by sealing flavored syrup inside of a long plastic tube and freezing it. People push them up through the tubes as they eat them. These can be purchased in boxes of 100 or more, which make them a great option for parties and events. What Is Drumstick® Ice Cream? What Is Pineapple Ice Cream? What Are the Different Types of Ice Cream Delivery? How Do I Choose the Best Ice Cream Hard Shell Topping? What Is Mochi Ice Cream? When I saw this topic, I thought of the sticks used as handles for the ice cream treats, not the treats themselves. Nevertheless, popsicle sticks -- also known as craft sticks -- are hallowed items in every elementary school classroom. They are indispensable for making "log" cabins, fences, cars, bridges and every conceivable object in the universe and most teachers have a stash of them. I also remember the plastic sticks that occasionally came with popsicles. They were brightly colored and had holes and notches, so they could be snapped together to form objects, rather like Tinkertoys. I suppose that memory clearly shows my age.